Premier supplier of precision laser and die cutting equipment for material processing. Our versatile capabilities open new market opportunities for our customers. Preco, Inc. is a leading innovator of laser processing technologies and systems for high quality, cost-effective industrial manufacturing. 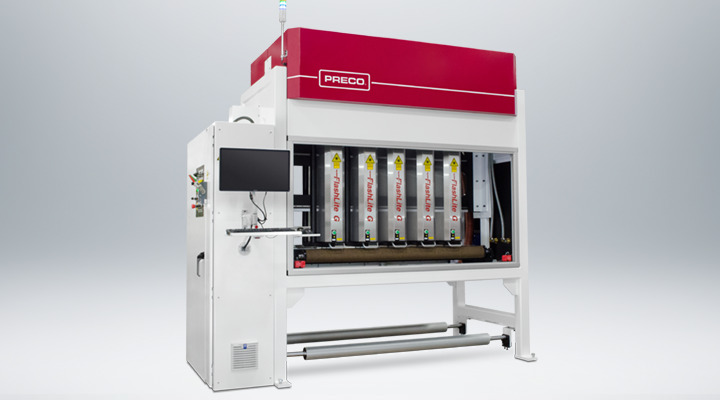 With over 50 years in the die-cutting industry, Preco, Inc. is the leading manufacturer of standard and custom automated die cutting equipment. With the industry's largest number of workstations, Preco offers an extensive range of innovative laser and die cutting services. Preco, Inc. is a premier provider of solutions for material processing needs. We are a leading designer and manufacturer of high-speed and high-accuracy automated processing systems. In addition, Preco is a skilled laser integrator offering cutting, perforating, welding, and other specialized industrial processing applications. With our proprietary die cutting and laser-based manufacturing capabilities, we are one of the largest contract manufacturing service providers in North America offering laser cutting, scoring, perforating, welding, cladding, heat treating and die cutting services. Read the latest news and press releases about Preco's exciting advancements in manufacturing. Preco maintains a staff of skilled service personnel trained to meet the needs of our customers. Watch the latest Preco videos on laser and die cut processing on our YouTube channel. Get in touch. Connect with a Preco team member from one of our worldwide locations.